SNP MP Alison Thewliss has praised a national debt advice charity based in her Glasgow Central constituency. The Westminster MP was visiting Step Change as part of her summer recess visits. Step Change, which is headquartered in Leeds but has over 40 staff in its Glasgow base, assisted almost 7,000 clients in Scotland within the last year. Figures show that the average debt per Step Change client in Scotland is approximately £12,500. Now the SNP MP is calling for anyone worried about debt to get in touch with Step Change by calling on 0800 138 1111. 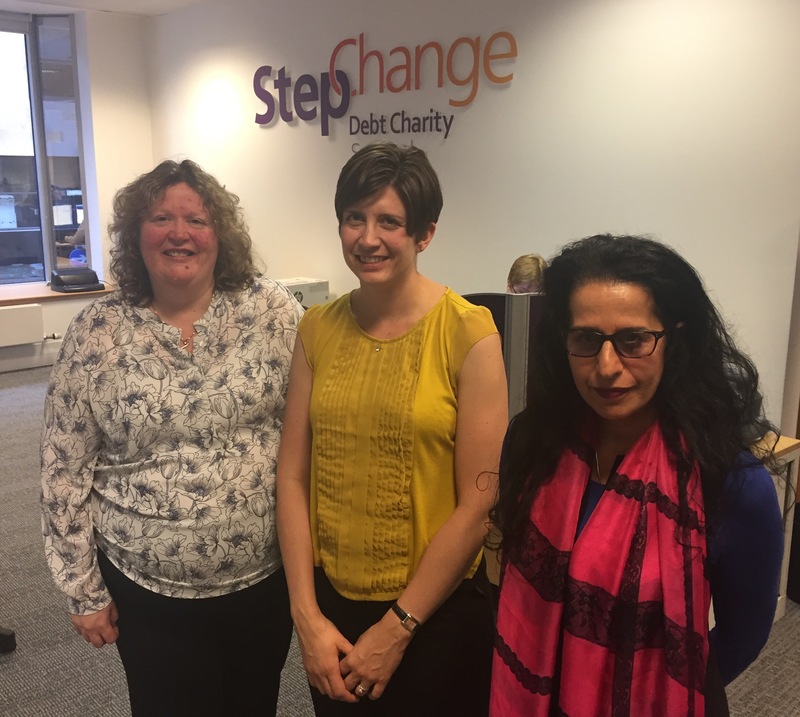 “I really appreciated the opportunity to visit Step Change’s Glasgow base and to learn more about the invaluable service they provide to those with concerns around debt and personal finance. “People can fall into debt for a whole variety of reasons – a change in employment, reduced income or benefits, lack of budgeting or a relationship breakdown. “Step Change is there to help people get back on their feet with practical help like putting a budget together, negotiating reduced payments with creditors or even just being a listening ear over the phone.